do you cook the sausage first before adding or just thrown in without cooking? throw the sausage in without cooking and cook on low another 45 minutes-an hour. Thank you. One more question. Sorry but I am new to cooking. When you are getting ready to cook the beans and you say add water to cover beans, is there a minimum amount I should use? Like 6 cups or something? I apologize again for bugging you. 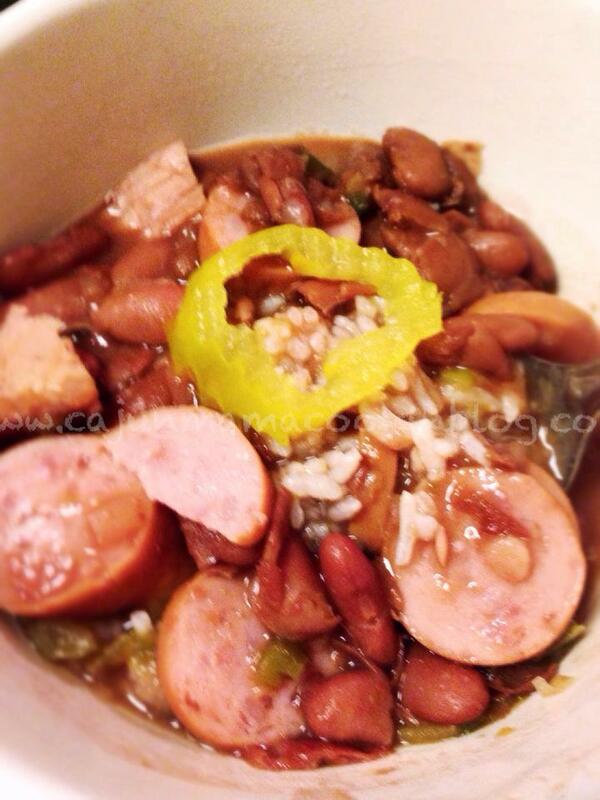 My crockpot red beans recipe. I am reblogging for those who may have missed it. Try adding a few teaspoons of brown gravy mix to the crock pot in the beginning–thickens it and adds a great taste! Yum! Thanks for the suggestion Jill! Yay! I knew I would find this recipe on here. I have a taste for red beans. I have everything prepped so I can turn the crock pot on before I leave for work in the morning. Thanks friend! Then you are going to have an excellent day!!! Enjoy! You are always more than welcome my love.